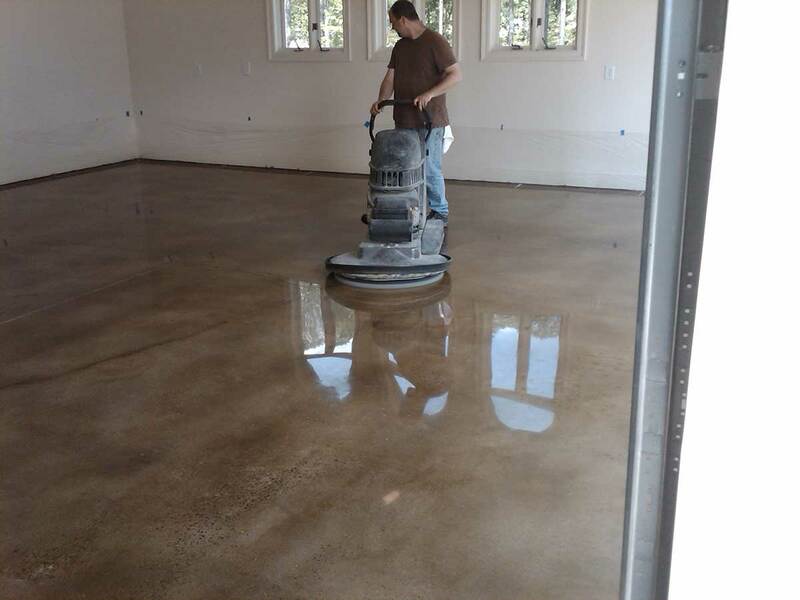 Grinding & Polishing - Decorative Concrete, Inc.
Grinding and polishing are two versatile treatments to consider for your concrete. 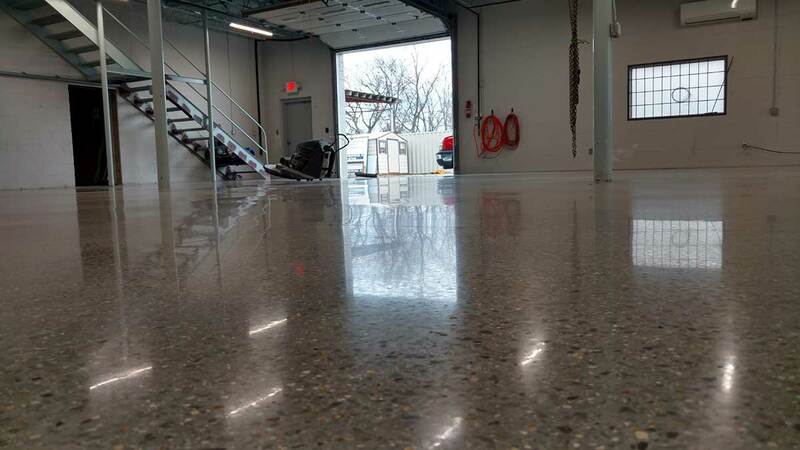 Have an existing coating on your concrete? Diamond grinding is a great option for you! 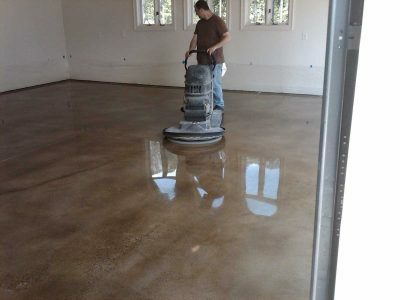 This treatment is great for removing coatings, glue, and mortar beds allowing your concrete to get a fresh start for a new coating or finish. Worried about all the dust? We use the latest technology available in our vacuum systems. 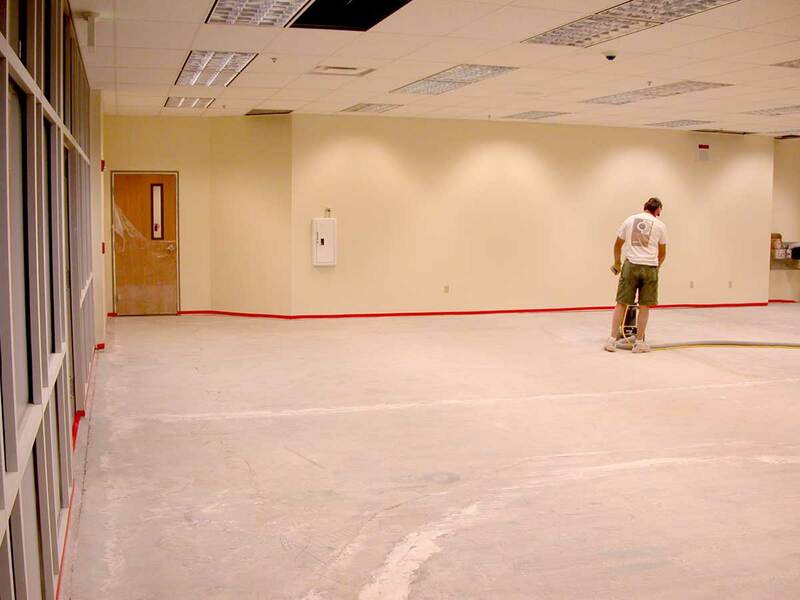 Looking for a long-lasting, super-durable finish? Polishing is just that! 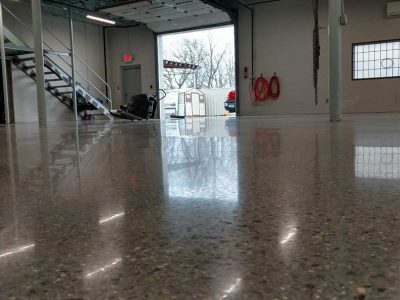 Many big-box retailers use polishing as their concrete finish of choice and it one of the fastest-growing methods of preparing floors in the industry. 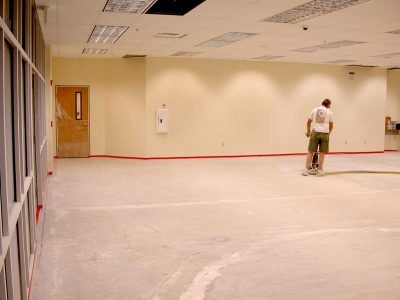 While a well-done polish looks great on its own, decorative dyes or stains can be added to further enhance the beauty of your floor.